Goodness, it’s been a long time! I should have updated the Monday after I got back from my extended trip to Kentucky and beyond, but I was too lazy then—and also busy! Many of these were sketched after I returned. 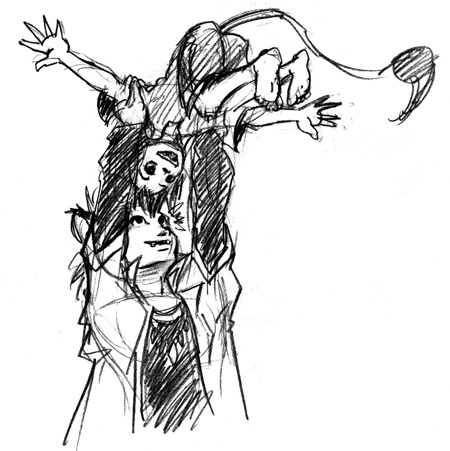 A much older version of Iccari, playing with his son. This never happens in the book, and it’s not exactly canon. Still, little things like this are what make me want to finish the story so badly! “The Playful Prince” Though most teenage monarchs who are thrust upon the throne at such a young age in fiction are either pawns, manipulative back stabbers, or wise beyond their years, this boy retains his youth. 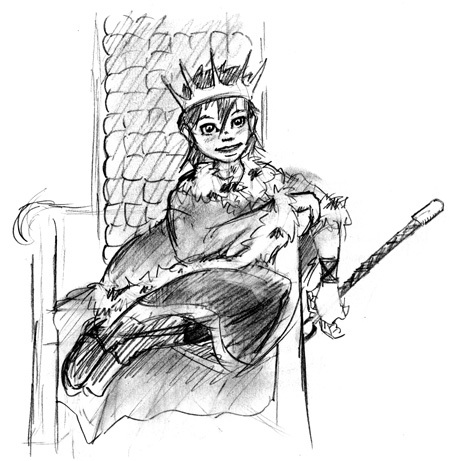 Even though he may be the absolute ruler of his realm, everyday is an adventure for him and, to the chagrin of many, he can’t stand to stay still for long, often delighting in pranks. His enemies in the court may be powerful and great in number, but because of his kind heart and concern the common people have come to love him. Just a concept stuck in my head, mind you, I’m not planning anything with him. 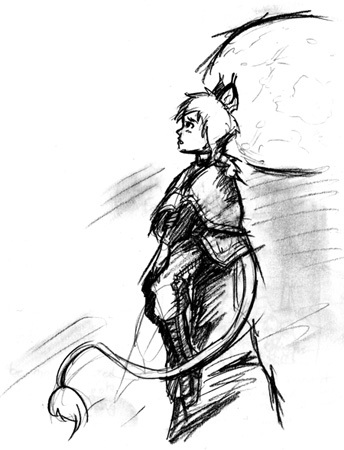 Concept sketch for the cover/main page art of Under a Different Moon . Concept art of Iccari’s sister, Nanno, and the design of her outfit. Concept art of Iccari’s best friend, Namko, and the design of his outfit. 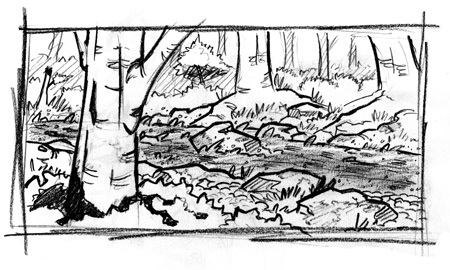 Concept sketch of the river near where Iccari’s clan lives. 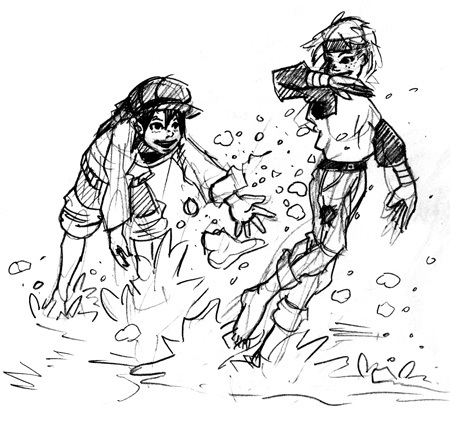 Concept art of the two human boys Iccari and Namko spot playing in the river when they go out exploring beyond where they’re supposed to be.